Note: Not all products are listed. For information on other Extant products please contact Customer Service. 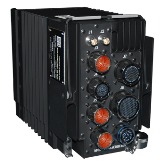 Voice and Data Recorder The Voice and Data Recorder (VADR®) employs the latest generation of military and civil acquisition, recording and memory protection technologies. 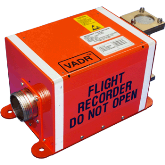 The VADR® is applicable to virtually any aircraft and may be used as a data-only, voice only, or combined voice and data recorder. 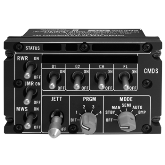 Engine Data Manager Provides data conversion for all analog signal processing and analog-to-digital necessary to operate the Electronic Instrumentation Displays (EID) in aircraft cockpits. The data processed and displayed includes RPM, ITT, torque, oil temperature & pressure, fuel quantity & flow, hydraulic pressure, and cockpit pressure. 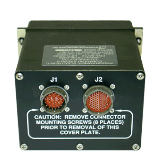 Data Transfer Module Receptacle Aircraft interface receptacle when used in conjunction with a DTM portable memory cartridge. Provides digital information loading and retrieval capabilities. 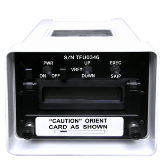 Data Transfer Module The DTM is a small, shirt pocket sized, rugged, portable memory cartridge used for aircraft digital information loading and retrieval. 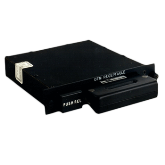 DTMs are offered with SRAM, Flash EPROM, and combinations to achieve selectable memory capacities. SCSI Data Transfer Module Receptacle The Table Top Small Computer System Interface (SCSI) SDTMR is a Data Transfer Module (DTM) ground interface and test solution. 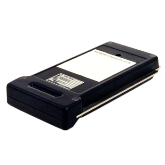 It provides a single-ended interface to a host computer for rapid data transfer to and from the DTM. 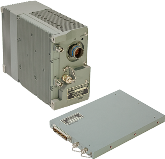 This unit will operate with and test all DTM configurations using either SRAM, flash memory, or a combination of both. 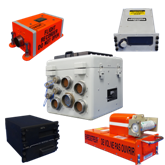 AN/ALE-47 (V) (sold as full set) (CMDS) AN/ALE-47 is a "smart” countermeasures dispensing system capable of carrying a mix of expendable countermeasures including jammers, conventional chaff, flare decoys and the new generation of "active" expendable decoys. 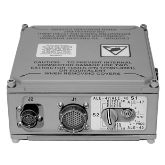 AN/ALE-47 Programmer The programmer is the central processing, controlling and communications unit of the AN/ALE-47 Countermeasure Dispenser System. 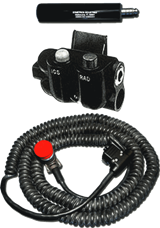 AN/ALE-47 Safety Switch Part of the AN/ALE-47 Countermeasure Dispenser System the safety switch prevents inadvertent dispensing of expendables in all modes. 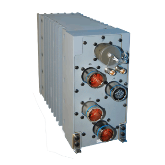 Aircraft 28VDC for squib power is routed through the safety switch. 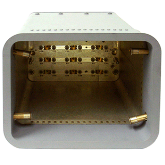 AN/ALE-47 Dispenser Dispenser assembly consists of a dispenser housing, a magazine, and a magazine retainer plate. The magazine provides carriage for 30 expendables. AN/ALE-47 Sequencer Sequencer determines the pin location for each requested expendable, provides squib power, conducts Built In Test (BIT), determines & routes magazine identification and monitors stored inventory. 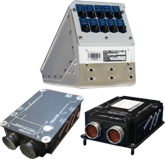 AN/ALE-47 Control Display Unit (CDU) Control Display Unit serves as the primary operator interface with the AN/ALE-47 Countermeasure Dispenser System and provides the distribution of logic power to the AN/ALE-47 programmer and the sequencers. 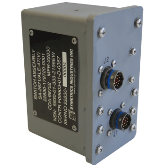 AN/USQ-131B Memory Loader Verifier Software loader of EW mission data files for the AN/ALE-47 Countermeasure Dispenser System supporting Organizational, Intermediate and Depot level maintenance. AN/ALM-295 Countermeasure Dispenser Test Set (CDT) The AN/ALM-295 Countermeasure Dispenser Test Set allows operators to perform a variety of preflight operations on the AN/ALE-47 Countermeasure Dispenser System, including stray voltage checks, jettison functionality, and fire pulse counts. 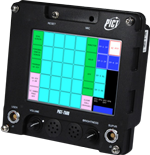 - Supports the AFAPD, TACFIRE, MTS, and IDL protocols, and works with an array of radios and crypto devices. Improved Data Modem - Provides six channels of radio interfaces. -Can be upgraded to be FACE compliant. Improved Data Modem - Provides four channels of radio interfaces. 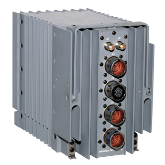 IDM-501 supports the AFAPD, TACFIRE, IDL, MIL-STD-188-220 protocols. Works with an array of radios and crypto devices. 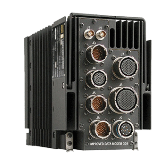 Programmable Integrated Communications Terminal Extant’s rugged, modular PICT supports multiple secure and non-secure voice communications for both military and industrial applications. 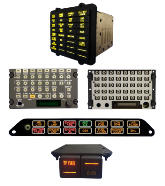 Power Conversion Products Wide range of power conversion products including dimmers, control panels, battery chargers, proximity sensors, annunciators and power supplies. Inverter Power Conversion Products. 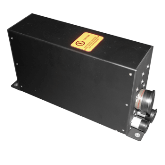 Sustaining manufacture and repair of AC Motors and static inverters. Battery Charger Control Unit (BCCU) The BCCU provides charge current to the aircraft battery, controls power from the battery to the aircraft loads, and provides status indications of the battery system. 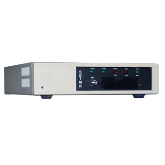 The Converter Regulator provides power regulation and fault/status monitoring. 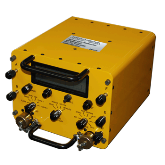 Flight Line Test Set (CARA FLTS) The AN/APN-232 Combined Altitude Radar Altimeter Receiver Transmitter (CARA RT) transmits a signal to the earth’s surface, receives the reflected signal, processes the information, and provides the resulting altitude-related data from 0 to 50,000 feet to various avionics systems.